Did you know that many of the household cleaners that you buy can actually be harmful to not only you but also your children and your pets. We strongly suggest that you stop trying to clean those nasty grout lines b yourself and let the professionals at True Steam do the hard work. We will use our high-pressure, hot water extraction method combined with our rotary high-pressure grout cleaner as the most effective way to clean your tile floor and restore your grout lines. Grout is a very porous material, which makes it easy for dirt and grime to be easily absorbed into the pores of the grout. That is why it is important to seal your grout regularly, first at the time when the grout was installed and after every intense cleanings. 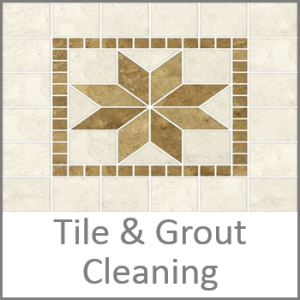 When you are ready to have your grout cleaned, please ask about our grout sealing options. This will help ensure that your tile floors stay looking their very best for as long as possible.